Still have guests and relatives in town and you are done cooking? I mean DONE cooking and need to sit down and enjoy? Let us cook for you - all of you! We will have our usual delicious menu (check it out on line) but we will also offer a special 3 course preset menu for $55. Also, our kids menu is only $10, up to the age of 12. 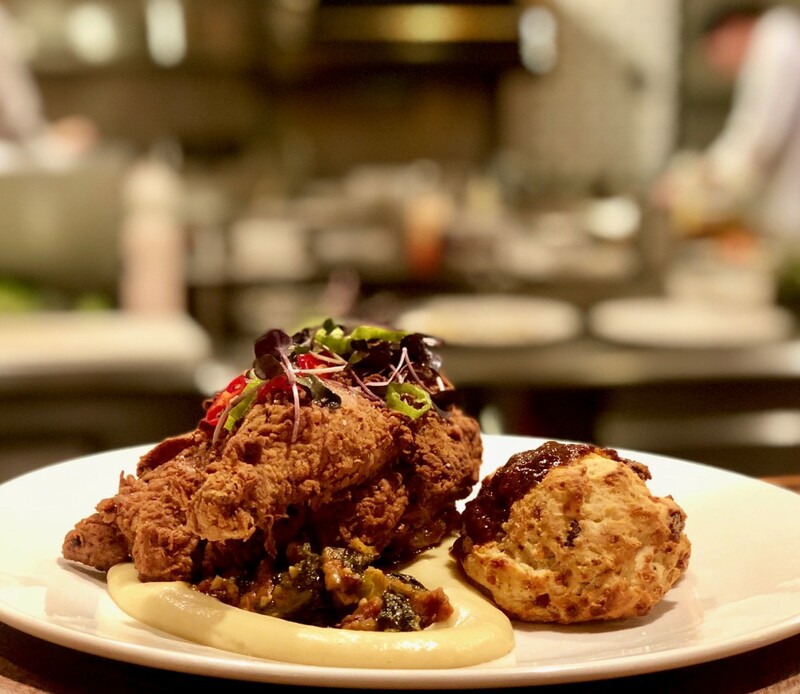 Choice of: Wagyu Farm Stew (braised Wagyu beef with farm veggies and potatoes in a savory broth) or Buttermilk Fried Chicken (pictured) with celeriac cream and bacon cheddar biscuit. Choice of: Pasta with Butter Sauce; Kids Burger with Fries; Grilled Cheese with Fries; a Cookie; and a choice of beverage: a Unicorn (Shirley Temple) or a Ninja (Roy Rogers) or milk. © 2019 Joseph Decuis. All Rights Reserved.